With less than three weeks to go until MEF Global Forum co-located with the 10th annual Meffys Awards on 14th and 15th November in San Francisco, this week Colin Miles, MEF Asia Chair and VP of Corporate relations at InternetQ Plc, shares his thoughts on the state of the Asian mobile markets and a describes a quiet revolution – the ‘alternate’ mobile consumer movement – going seemingly unnoticed in the West. It is such a tumultuous time in Mobile that any blog trying to pinpoint a patterned perspective is likely to be blown apart within a few months of being written. But why on Earth would I say that? In a sense, because most of the power plays that emanate across the industry landscape in Asia have effectively been under the radar — and away from the opinionated columns of industry watchers who are lazily looking for the next most obvious Apple versus Android headline — or the laconic ‘whatever happened to’ handset guy X, Y or Z Op-Ed? You know the drill, a survey is released listing a dramatic change in numbers for one of the known players or even respective mobile activities (such as SMS usage) and suddenly divine judgement is cast as to where the global market will inevitably go, based on this snapshot — or more deceptively, a tabloid-style rush of blood to the head. The current pace of change, and I say this after working in the ‘mobile’ trenches for an exciting dozen years or more, is beyond anything that desk-bound trade journalists can feasibly comprehend. But, if like me, you are out-and-about, touring (and servicing) the countries of Southeast Asia – or more intriguingly Latin America, the Middle East and Africa; then the dominant forms of a mobile consumer’s behaviour appear to be (for want of a better description) completely overlooked. That said, the great thing about being involved in a global industry association like MEF, is the opportunity that different chapters get to share such insight without necessarily drawing any unalterable conclusions from them. As such, the MEF Global Forum will address these critical factors and I believe, constructively balance this challenging perspective. So, please bear with me whilst I propose this simple analogy; if you can consider the concept of a parallel universe which is actually fantastically bigger than the one you currently inhabit, then you can tacitly appreciate the sheer scale of the ‘alternate’ mobile consumer movement I will articulate. In totality, we are presently staring at a black hole of dissonance, a vortex which is quietly sucking all known industry practice into an entirely new dimension. Market-shaping consumers from China, India, and most of Southeast Asia actually have very little to do with the incumbent brands or business models so regularly feted in the West. Believe me, the rise and rise of low-cost smartphones and tablets that have it all (quad-core processor, triple SIM slotted, touch-screen Android devices) ranging from $10 to $250 from largely ‘unknown’ brand names – are holding sway. Likewise, operator MSISDNs and network access are being innovatively used in a ‘pick and mix’ style of consumption that sometimes defies statistical assessment. The scale of smartphone production for ODM-supplying companies like MTK (and yes, FoxConn too) is approaching hundreds of millions of ‘blank’ units spread across giant mobile markets like Brazil, Russia and Indonesia – highlighting that incumbent smartphone brands might well have their legs taken out from under them, almost silently, by consumers voting with their feet (or rather wallets). 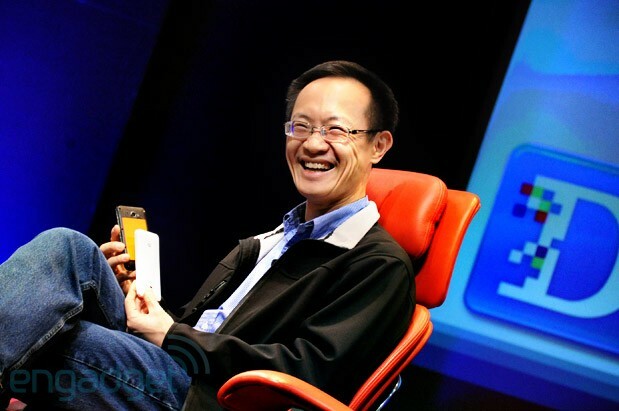 Even newly-branded phone concepts, like Xiaomi in China (which crowd-sources its features based on a popular online vote and provides rich content as standard) has gone from zero to 15 million units of sales in two years without needing any physical infrastructure at all. How disruptive is that? Beyond this hardware shift, we are concurrently witnessing the ‘anti’ App store economy being formed from disaffection with arguably ‘monopolistic’ pioneers like Apple iTunes and Google Play. In the space of just three years, Mobile 91 in China, an entirely independent Android App store was created, eventually housing 850,000 apps and hitting as many as 15 million downloads per day. It was recently snapped-up by nearby web giant Baidu for $1.85 billion dollars. Nothing to do with Samsung, or Apple Inc. – and only a passing nod to Google’s ‘open’ Android platform. So, the Stargate has opened and it’s evident that restrictive practices are conversely creating a groundswell of desire for anyone — be they second-tier handset vendors, or standalone adult stores like MiKandi — to build and operate their own App markets (for ease of discovery) and to further unleash levels of creativity not held in check by claustrophobic ‘terms and conditions’, commercial constraints – or a lawyer-led world of “thou shalt not’s”. The final, almost unmentionable, planetary dynamic – is a surprisingly democratic recreation of the previously much-maligned walled garden, the scale of which only Mobile Network Operators of yore have ever witnessed in full flow. I am of course referring to the gigantic, opt-in, Instant Messaging ecosystems that have evolved in short order to accommodate multi-hundred million member communities of “chatters” – who utilise their internet packages to access complex, highly sophisticated and innately consumer-driven integrated portals. Developer friendly API’s have kick-started a plug-in range of valued-added services as long as your arm: Social Games, location based and thematic dating, virtual currency and transfer services, mCommerce incentives, rich media celebrity content – and most notably ‘stickers’ which have now become the ‘de facto’ masthead of today’s savvy Asian smartphone consumer. [youtube=http://www.youtube.com/watch?v=c9adlAWX14U&w=500&align=right&rel=0]Ultimately, the impending multi-billion dollar IPO’s for LINE and KaoKao Talk mean that benchmarks will be set (analysis made) and the truth will out — or more prosaically, finally be made transparently “Public” about the way untold galaxies of consumers actually wish to enjoy their modern mobile experience; namely over-the-top, unfettered, social, culturally distinct, chatty – and, well, cheap. It is often said don’t ‘shoot the messenger’ when tough news needs to be shared, but ironically in our mobile industry context, the (instant) message is now the medium — and the wisdom of the crowds is being turned into billions of dollars of value in double-quick time. Seriously, who knew? Which reminds me, the MEF Global Forum will give attendees a Hubble-like view into this gargantuan Mobile solar system. So, why not do yourself a favour and join those industry watchers who are really ‘in the know’ in Silicon Valley in November. 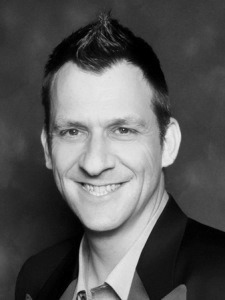 Colin Miles is VP Corporate Relations at InternetQ Plc and Chair of MEF Asia – follow him on Twitter. Fellow MEF Asia Directors from Vserv.mobi and Nazara Technologies will be speaking at #MEFGF13 along with top executives from mobile leaders and innovators such as Facebook, Real Networks, Boku, Box, Flurry, Telefonica Digital, Distimo, Evernote, Shazam, Visa, Mozilla, Deutsche Telekom, Singtel, Innov8, Verizon, Gameloft, Glympse, Machine Zone, and Waze.